Between soccer and scouts, your school-age kid's schedule is loaded with fun activities. 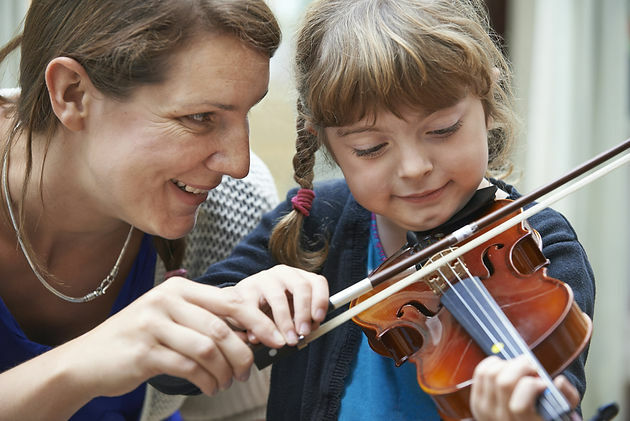 If you're on the fence about adding music classes to the list, take note of the benefits that come with signing your little one up for violin or piano lessons. Maybe she won't be the next Beethoven, but she may have an easier time learning math, practising good manners (including patience! ), and becoming a team player. Read on to learn more about the benefits of music education. Music and math are highly intertwined. By understanding beat, rhythm, and scales, children are learning how to divide, create fractions, and recognise patterns. 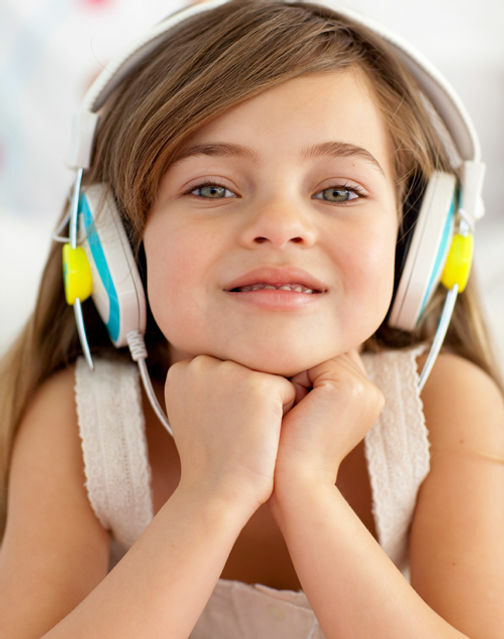 It seems that music wires a child's brain to help him better understand other areas of math, says Lynn Kleiner, founder of Music Rhapsody in Redondo Beach, CA. As kids get older, they'll start reciting songs, calling on their short-term memory and eventually their long-term memory. 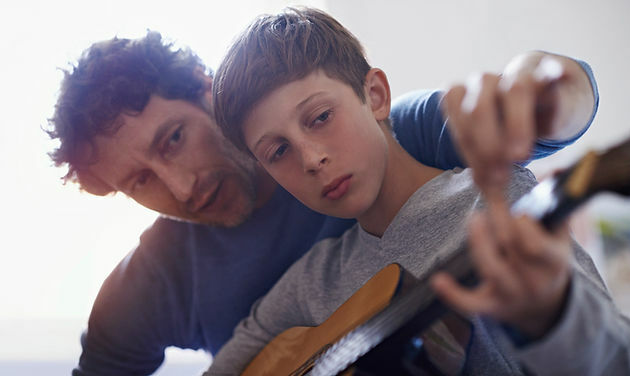 Using a mnemonic device to do this is a method that can later be applied to other memory skills, says Mary Larew, Suzuki violin teacher at the Neighboyhood Music School in New Haven, Connecticut. Musical instrument classes also introduce young children to basic physics. For instance, plucking the strings on a guitar or violin teaches children about harmonic and sympathetic vibrations. Even non-string instruments, such as drums and the vibraphone, give big kids the opportunity to explore these scientific principles. Lessons offer a forum where children can learn to accept and give constructive criticism. Turning negative feedback into positive change helps build self-confidence, Regester says. Group lessons, in particular, may help children understand that nobody, including themselves or their peers, is perfect, and that everyone has room for improvement. "Presenting yourself in public is an important skill whether you become a professional musician or not," Larew says. This skill is easily transferable to public speaking, she adds. And, of course, once a child is advanced enough, she'll possess musical skills that will help her stand out. By learning about and playing a variety of instruments, kids can discover how music plays a critical role in other cultures. For instance, bongos and timbales may introduce children to African and Cuban styles of music. Although the modern-day violin has roots in Italy, learning to play it exposes children to classical music popularized by German and Austrian musicians. Versatile instruments, such as the violin and piano, can accompany a wide repertoire of styles, including classical and jazz (which originated in the American South). It's important to familiarise children with other cultures at a young age because this fosters open-mindedness about worlds and traditions beyond the ones they know. 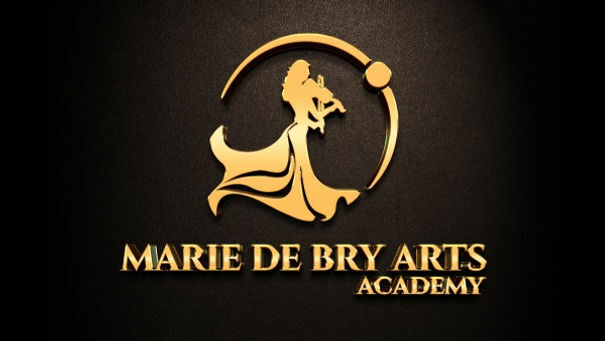 We are happy to help music students prepare for different music theory exams. Feel free to drop us a message for more information. If you require a specific music book or musical score, we would be happy to organize a delivery of the item to you. Next to this we also offer gift vouchers for books and musical lessons. If you have questions, contact us through the contact page or give us a call at 020 3844 7917. We are always glad to hear from you.